Dorthy is helping us again! 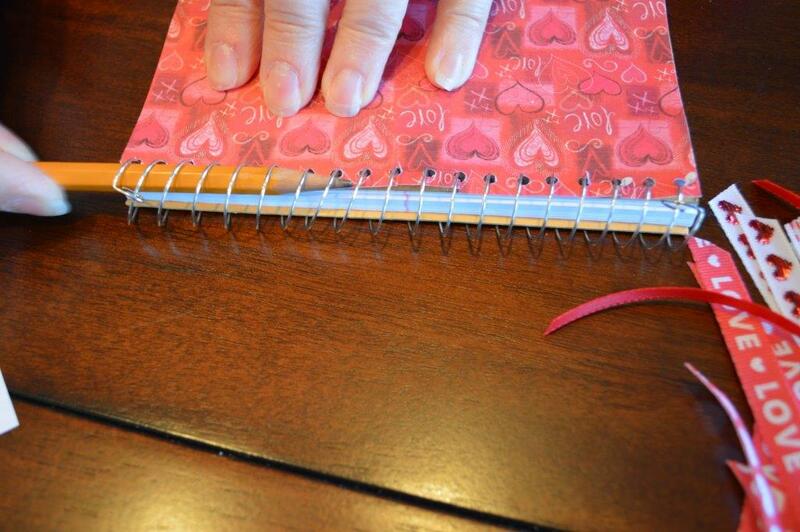 This notebook would be a great present for any occasion, depending on the paper you choose. 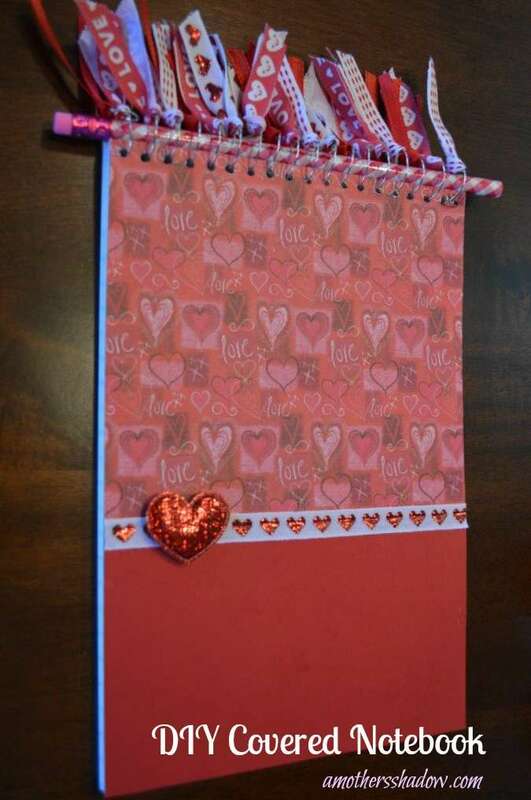 Make one for every holiday and season! 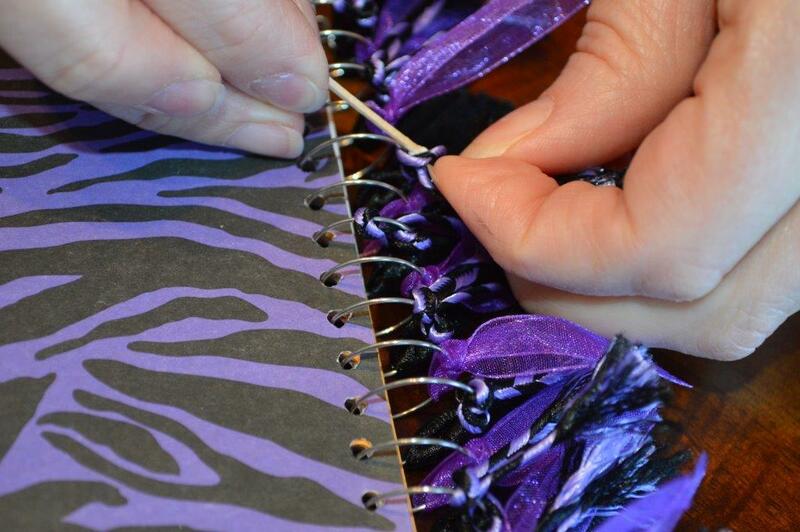 An inexpensive, easy craft for teens, girls-day-out activity, a wonderful birthday or Mother’s Day gift – so many uses for yourself, or as a gift! 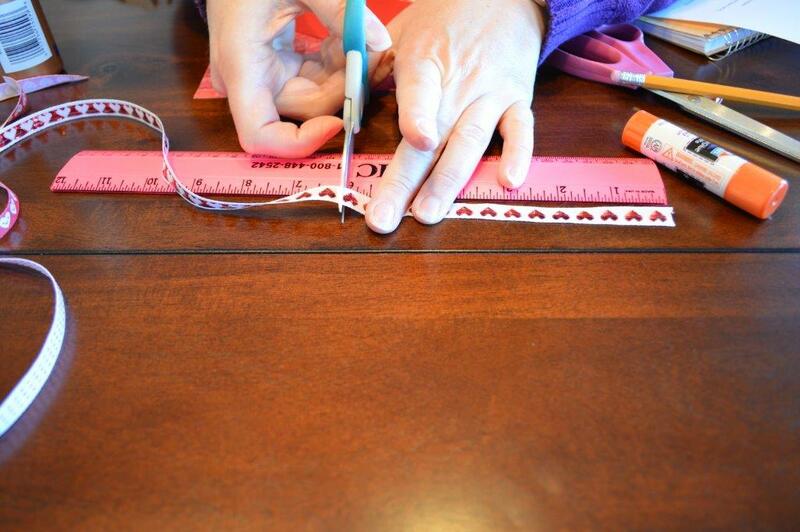 Mix and match papers from scraps you have and add a fun patterned pencil to make it even more special. 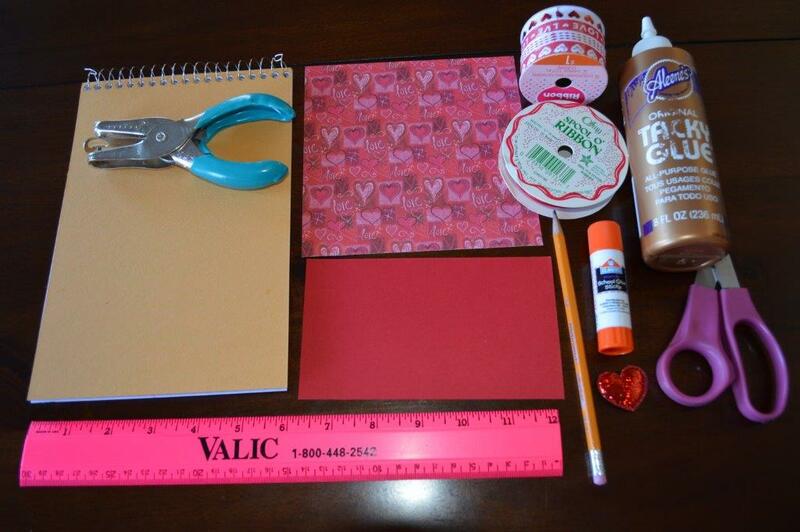 The complete supply list and detailed instructions follow, however, here are some pictures for a tutorial to help you along making your own covered notebooks. 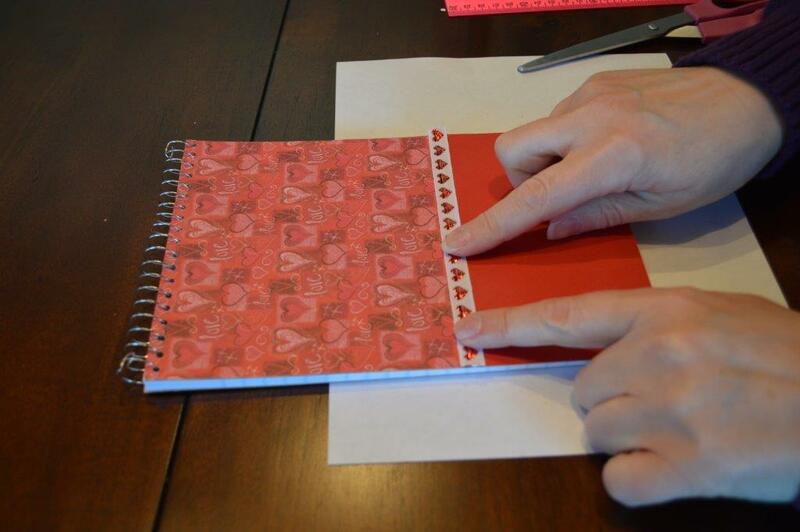 Cut out the paper pieces as directed. 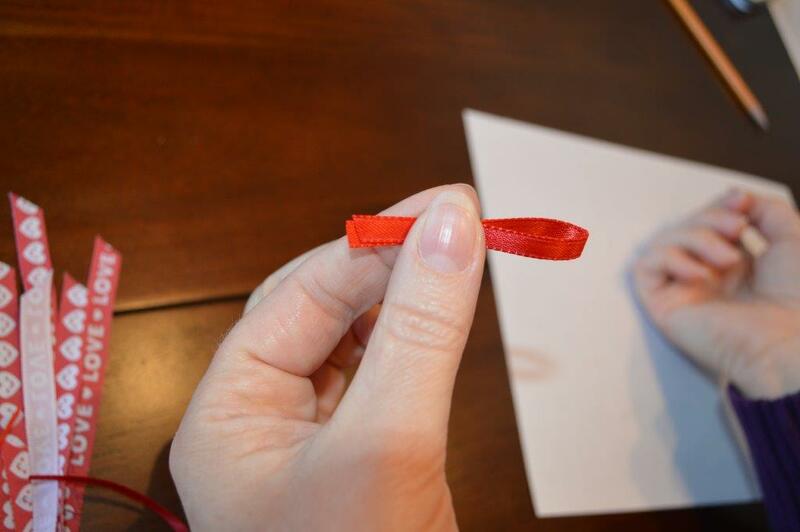 Cut one piece of printed ribbon 6: long. 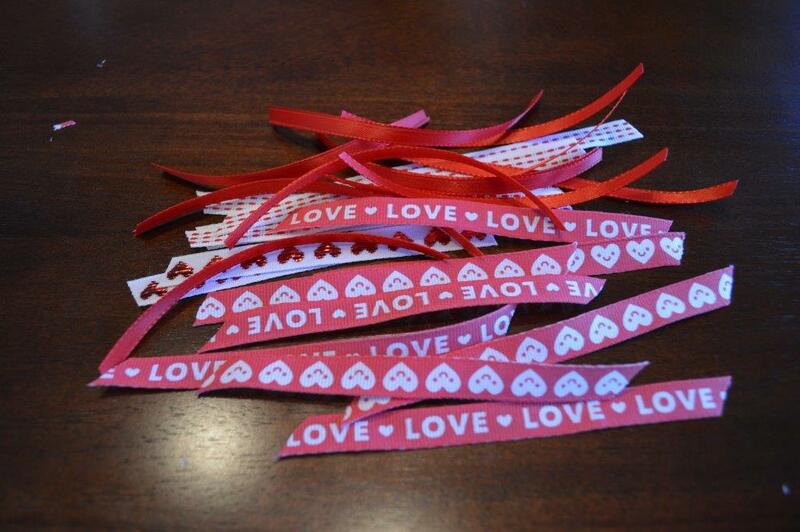 Cut the remaining length into 4″ long pieces. 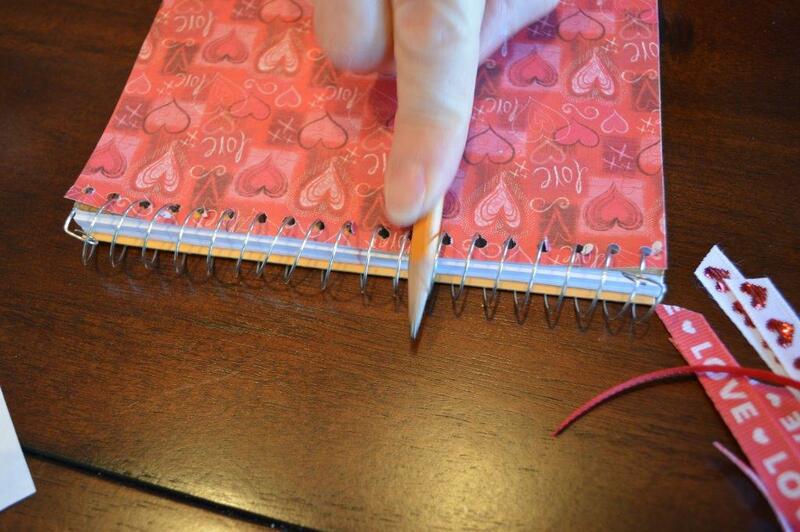 Mark each hole with a pencil mark. 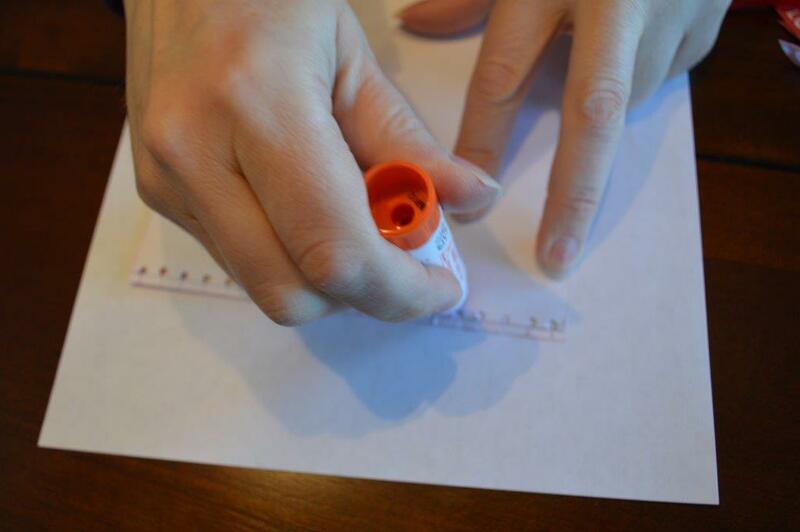 Draw a line 1/8″ from the top of the paper at the pencil marks Using a small hole punch (not the regular size), punch holes at each pencil mark. 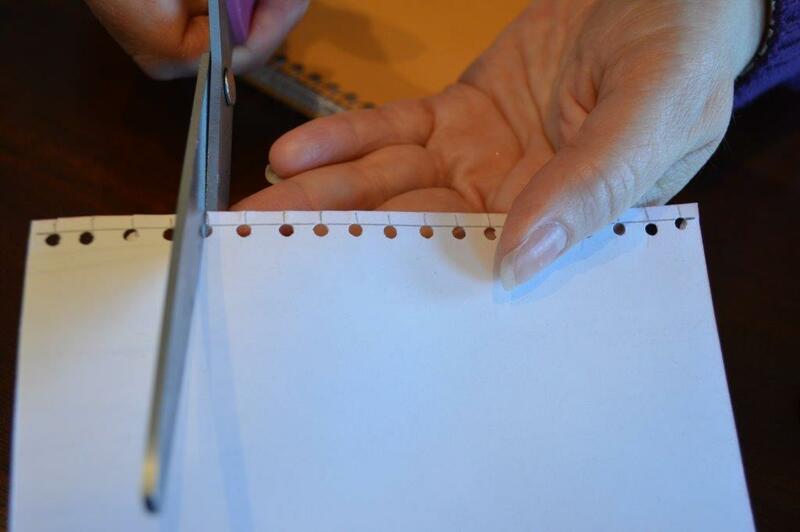 Make a small slit with scissors from the edge of the paper to the the hole you punched. 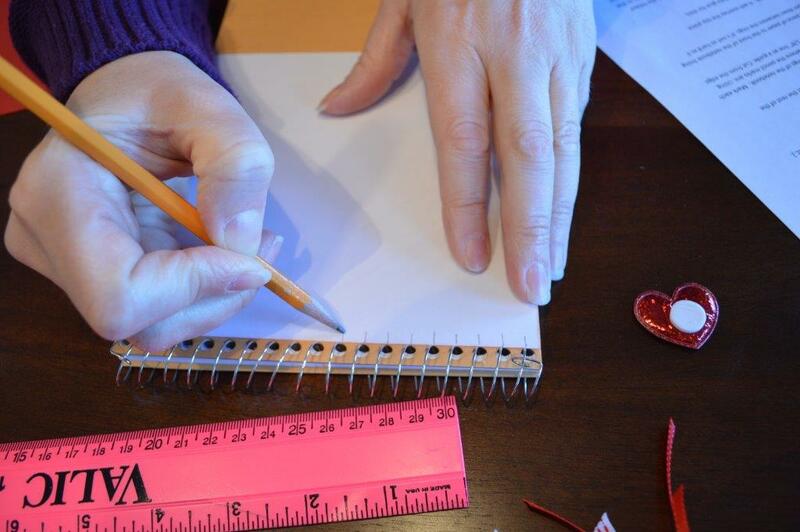 Continue across the paper. 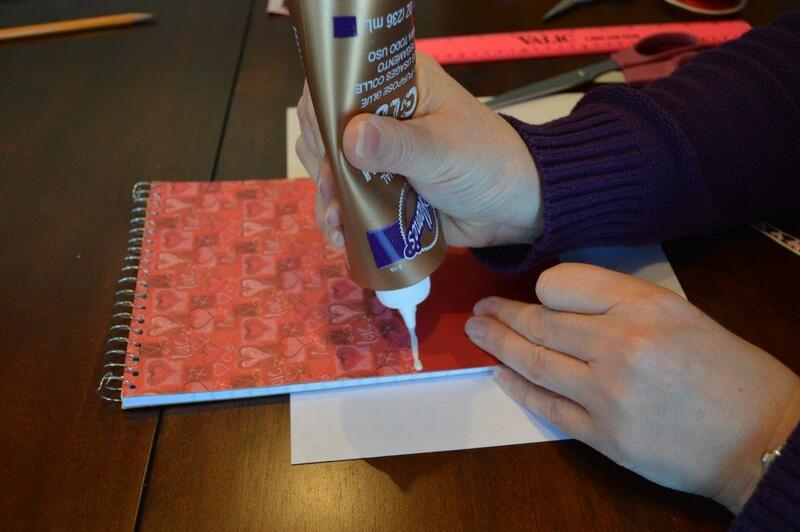 Using a glue stick glue the paper to the front of the notebook, making sure the holes match. 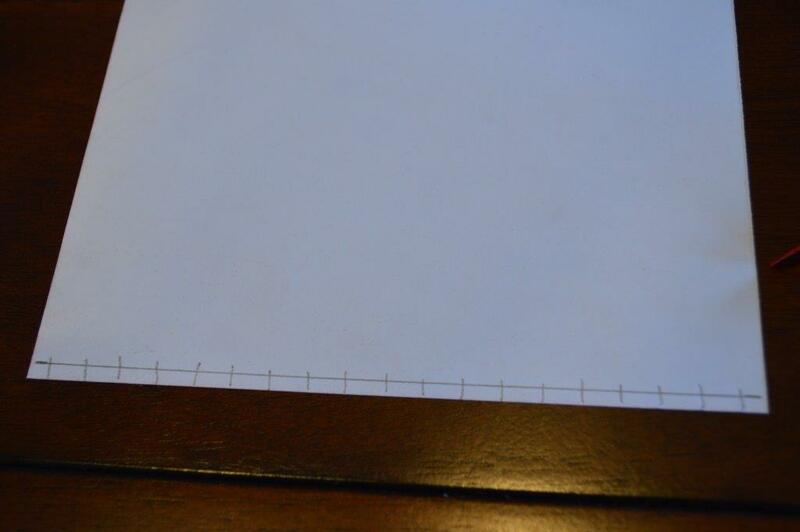 Glue around the edge of the entire piece of paper. 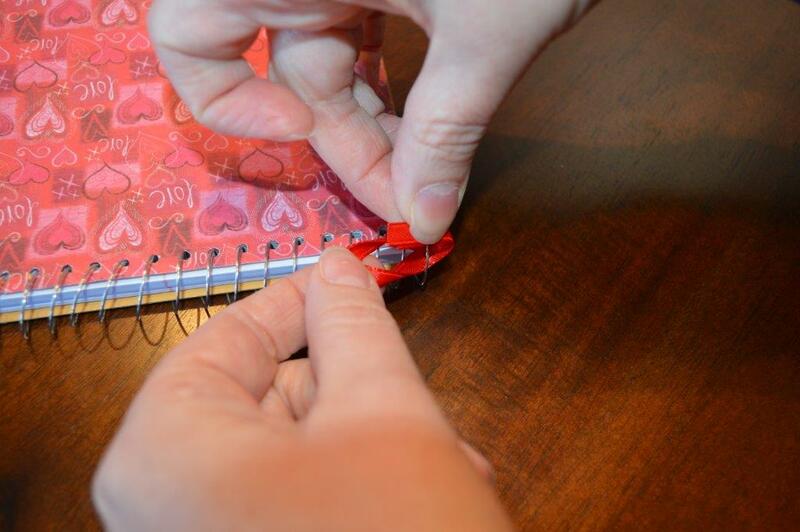 Carefully put in place, matching the holes of the paper to the rings on the notebook. 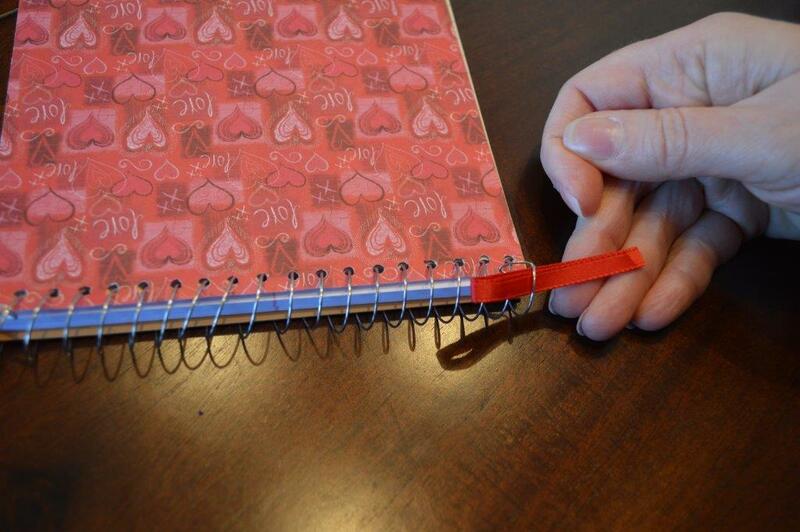 Use a pencil to push the paper down between the rings. 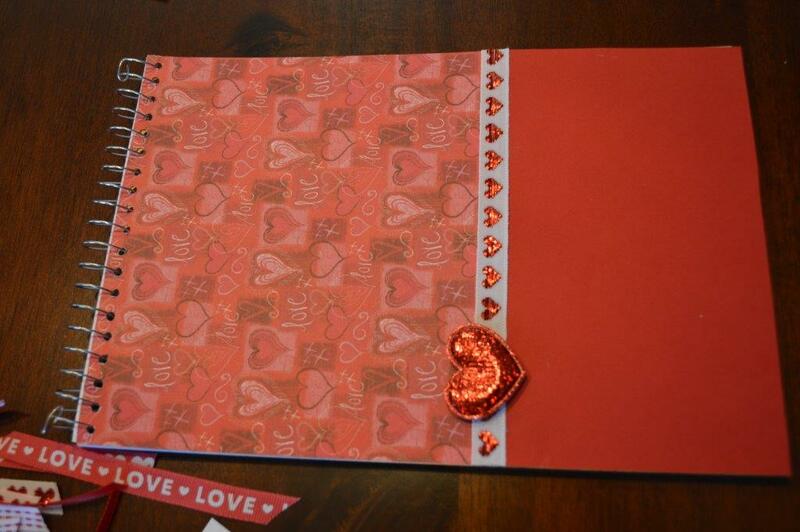 And from the inside also. 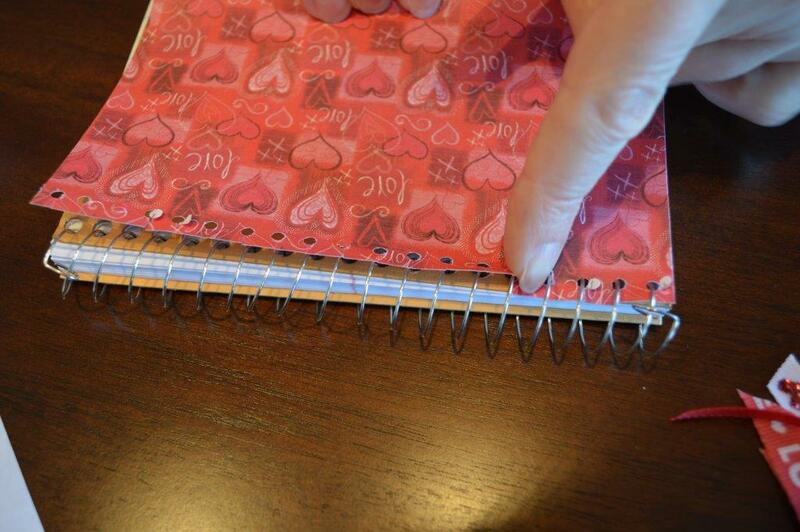 Glue the 3.5″ x 6″ paper to the bottom of the notebook. Press down to secure. 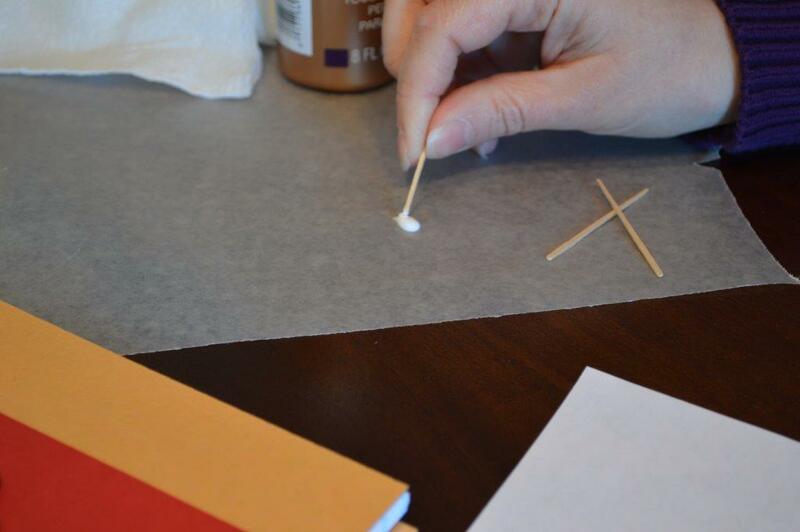 Glue on embellishment. Pull tight. 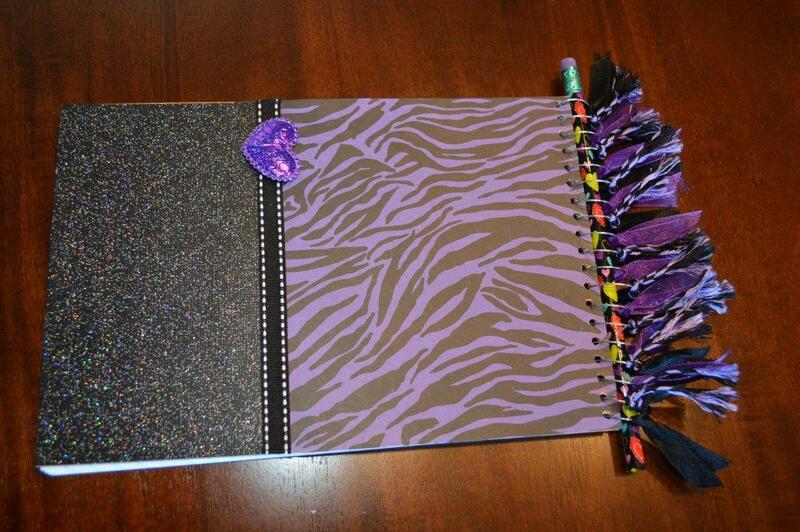 Arrange the ribbons so there is a bit of each ribbon pattern all the way across the top. 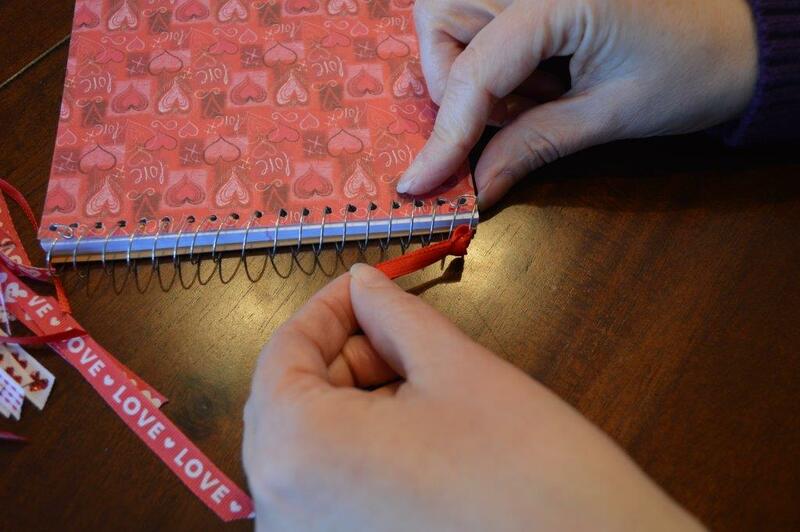 And put a small dab of glue under the ribbon knot to ensure they stay in place. 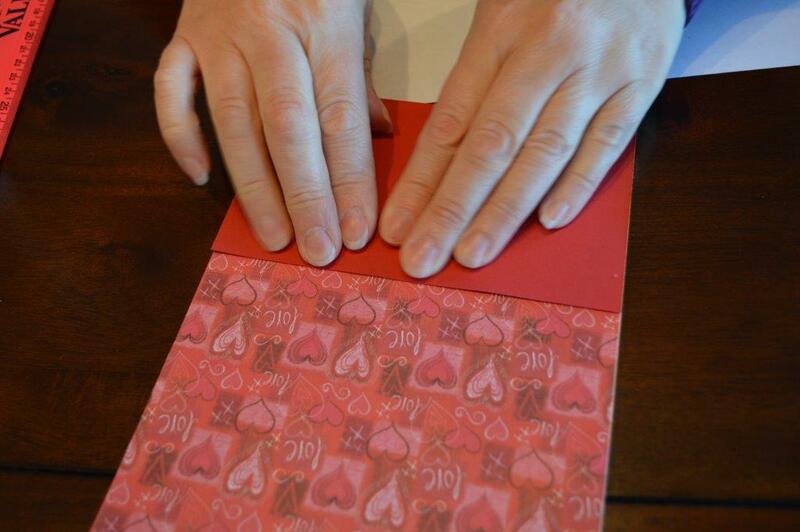 Now you have a terrific gift for really any occasion! 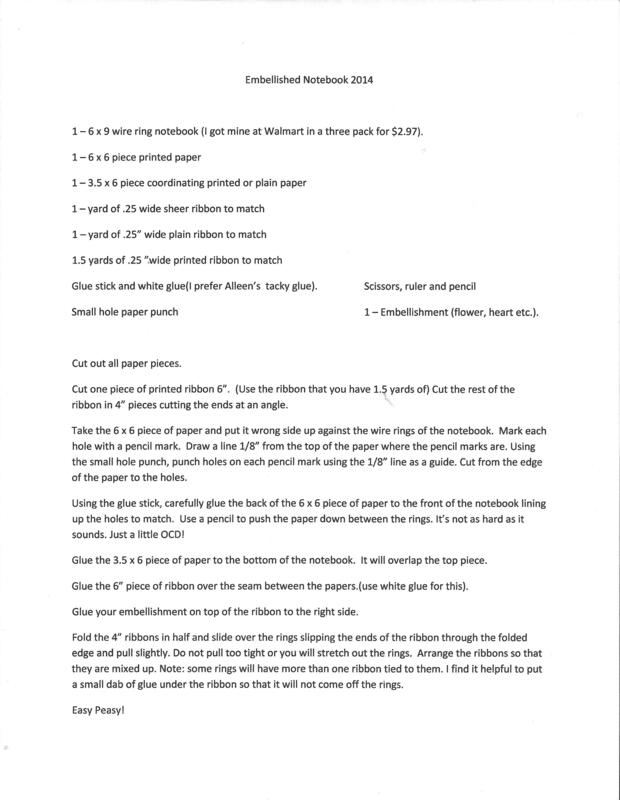 The supply list and complete instructions follow. 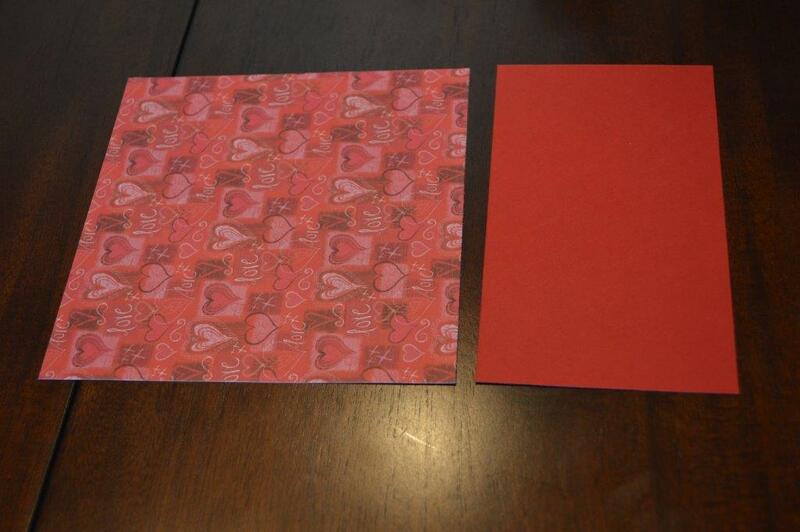 Thank you Dorthy again for another great craft!